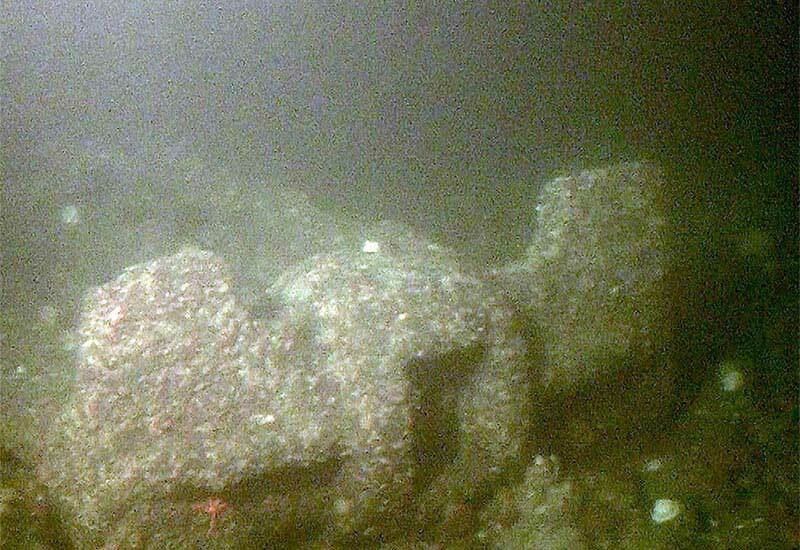 Anchor located on the sea bed near the wreck. 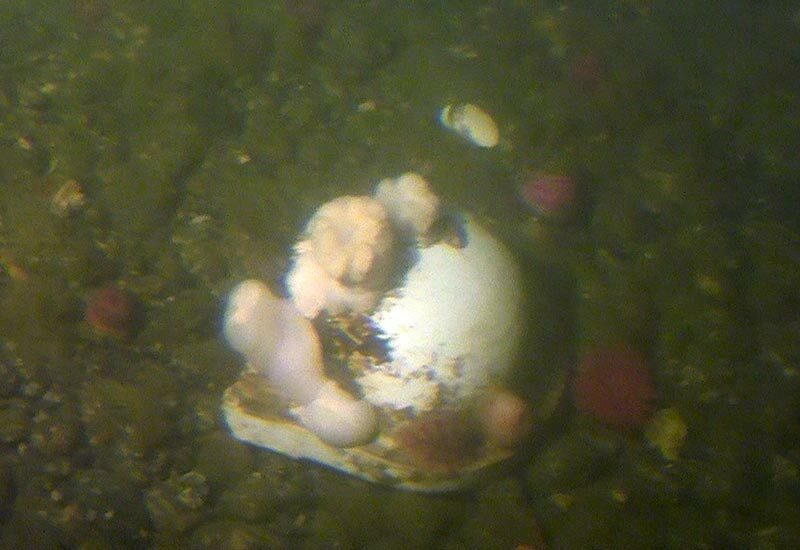 Washbasin discovered on the sea bed near the wreck. 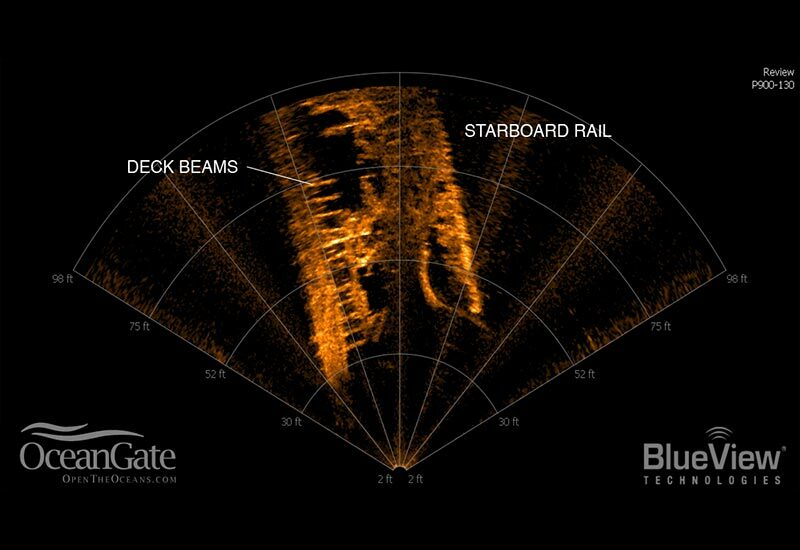 2D sonar image of the wreck aft of the collision point. 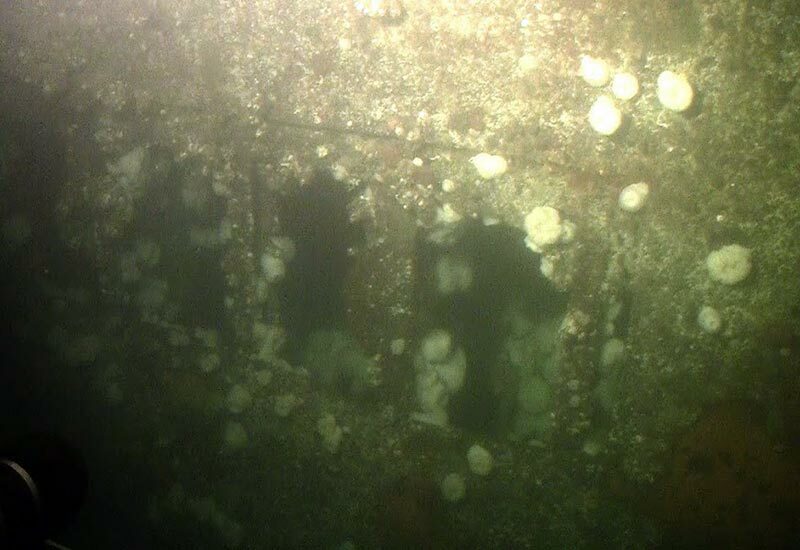 In one of the few remaining vertical sections of the hull, steel plating has fallen away to reveal structural ribs. 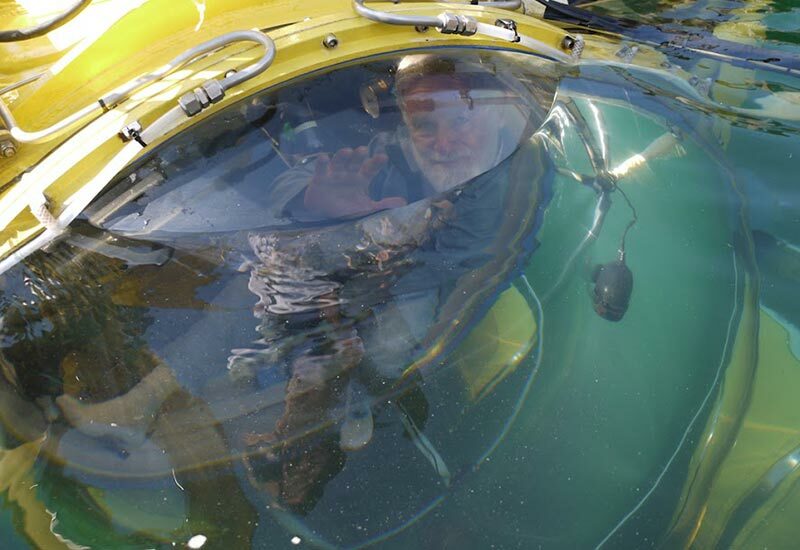 Pete Hoffmann, Antipodes' builder, prior to a dive to the Governor. 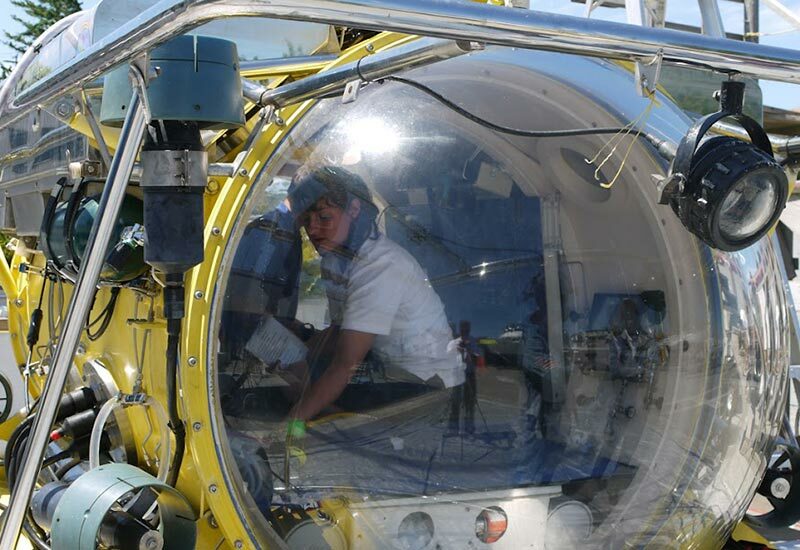 Erika Bergman, submarine pilot, prepares Antipodes for a dive. 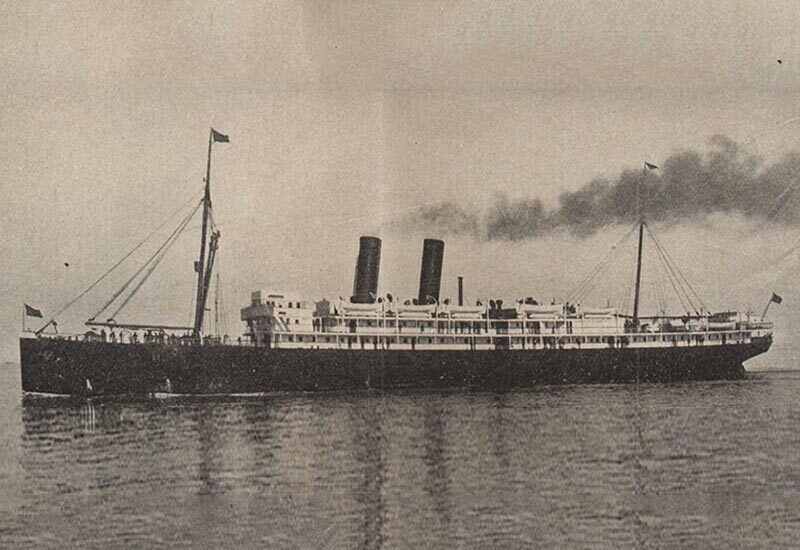 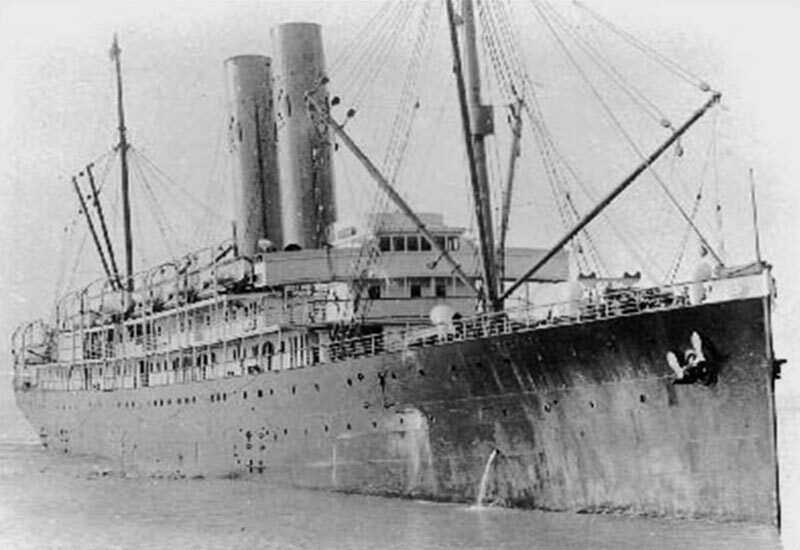 Historic photo of the SS Governor.